Elise Matheson called the experience bittersweet. Matheson was with her Olympia High School volleyball teammates at last year’s Class 4A state tournament in Kennewick to pick up an award. All were in street clothes. Not a single Bear was playing in the tournament. Olympia didn’t even advance to districts in 2017. Their season had been over for more than two weeks, but here they were standing on the same floor along with the best teams in the state. Olympia was in attendance to receive the state academic championship – a lofty achievement in itself, but something about it felt off. Fast forward 12 months and Matheson got what she wanted as the surging Bears are handed to the state tournament for the first time since 2014 after finishing second in the 4A West Central District tournament. Playing in the incredibly talented 4A South Puget Sound League, the Bears finished sixth in the league after posting an 8-6 record during the regular season. 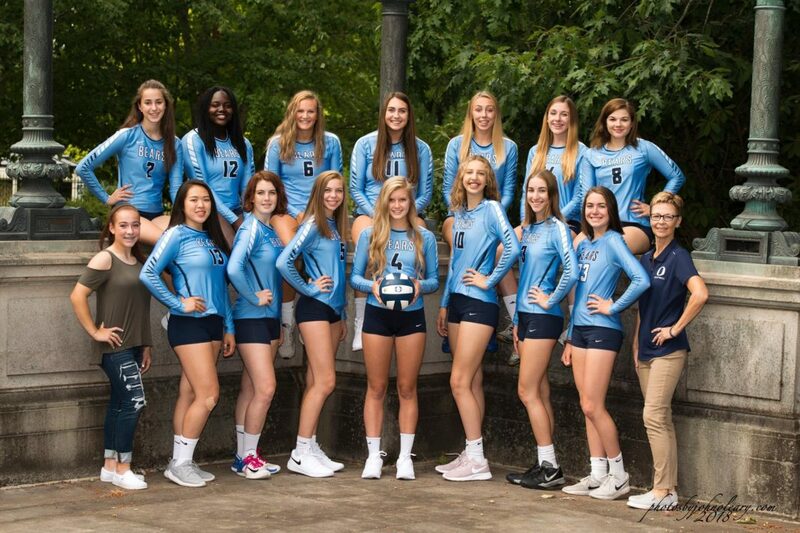 Olympia (12-9) kicked off its run toward the state tournament by knocking off third-seeded Emerald Ridge in the opening round of the 4A SPSL tournament before securing the league’s fourth seed into district play. 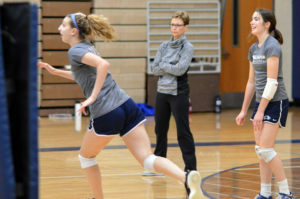 It certainly looks like they have as the Bears looked nothing like a sixth-place team during the district tournament, where the team opened up play against Auburn Riverside, the defending 4A state champions. After dropping the first set (25-16), the Bears sent the Ravens into the consolation bracket by winning the next three (25-20, 25-14, 25-22) to move onto the quarterfinals where, once again, the team proceeded to drop the opening set to Tahoma. 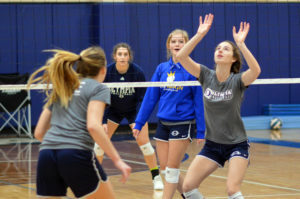 The Bears reeled off three straight sets (25-22, 25-21, 25-13) to not only move on to the district semifinals, but also secure their berth into the state tournament. In the district semifinals, Olympia continued to play the role of spoiler, knocking off Camas (20-25, 25-13, 25-21, 15-12). The run came to an end in the championship match against undefeated Kentridge (22-0) as the Chargers posted a 3-1 triumph (25-17, 17-25, 25-23, 25-15). 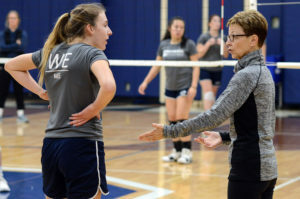 “The resiliency they’ve displayed all season and even within their recent playoff matches has been impressive. They’ve been down 0-1, in sets, three times and came back and won against really good teams. They’ve been coolheaded in the in crunch time,” said Creighton, who guided the Bears to state titles in 1998 and 2011. The Bears (12-9) will open state tournament play on November 16 at 9:45 a.m. at the SunDome in Yakima against University (12-4). The winner of that first-round match will play the winner of Kamiak (12-7) and West Valley of Yakima (17-0) in the quarterfinals. This marks the 23rd state trip for a Creighton-coached Olympia team. The Bears are seeking the program’s 14th state trophy overall and first since finishing fourth in 2012.